Geoffrey Sonnabend, an associate professor of neurophysiology at Northwestern University, at Evanston, Illinois, was 48 years old in 1936 when, after an exhaustive and largely inconclusive research project into the memory pathways of carp, he suffered a mental and physical collapse which among other conditions was manifest in a case of pluresy, for which his physician prescribed a two-week stay in the university hospital as well as an extended period of convalescence. 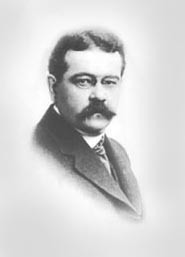 Geoffrey Sonnabend's father, Wilhelm, had come to the Chicago area from Germany in 1888, as a young but successful structural engineer. His immigration, however, was by way of Buenos Aires, where he worked for a time with the German based Krupp Corporation, which at the time, was undertaking a number of construction projects in Argentina. It was in Buenos Aires that Wilhelm met and married his wife, Viviana, the daughter of an Argentine industrialist, while working on a suspension bridge over the Parna ariver in Northern Argentina which was designed to span the 700-meter distance between the Argentine and Brazilian banks of the river, just at the point of the Garganta del Diablo, the largest and most spectacular of the Iguazu falls. The bridge, which was to have been the longest foot suspension bridge ever built, was designed to pass within 10-meters of the crest of the massive falls, which would have afforded the visistor a spectacular if possibly terrifying view of one of nature's most extraordinary achievements. On February 17, 1887 as the bridge was approaching completion, an unseasonable storm ravaged the Chaco, tearing the suspension cables from their moorings on the Brazilian side of the falls. The remains of the bridge were left secured to the Argentine side of the river but draped into the falls for over three months while the goverments of the countries and the entrepreneurs responsible for the project made the decision not to attempt again the construction of the bridge. In early 1888, Charles F. Gunther, an eccentric millionare collector from Chicago who had made his fortune in confections, was visiting South America for the purpose of enhancing his already renowned collections. Gunther had heard of the demise of the Iguassu bridge project and his taste for the extravagant led him to want to meet the person responsible for such a daring project. Gunther was surprised to find in Willhelm Sonnabend a small and unassuming man quite without the bombast or pretensions that Gunther himself demonstated and which he had come to associate with individuals responsible for such maverick projects. However, despite the differences in the personalitites of the two men, Gunther and Sonnabend found that they had much in common, not the least of which was a love of large, seemingly impossible projects. Thus began an friendship between these two very different individuals that was to last until Willhelm Sonnabend's death in November, 1929. Charles Gunther, who had moved to Chicago only in 1879, was considered with extreme suspicion by native Chicagoans. Still, the undeniable presence of his personality, if not his money, made him a force in the city's development during a time when Chicago was just beginning to emerge as a major metropolitan center. Although not directly connected with the project, Gunther was aware of the construction plan for a series of bridges spanning the Chicago River. Gunther returned to Chicago, spoke with friends and within six months Wilhelm anad Viviana Sonnabend were arriving in Chicago where he had been assigned the position of director for the Chicago bridge project. The Sonnabends moved to the Hyde Park district of Chicago where Viviana was still living in 1936 when her only son Geoffery became ill. Viviana never became entirely comfortable in her adopted North American home and thought immediately to suggest the Spa at the Igassu Falls of her native Argentina for the convalescence of her son, as her father had convalesced from silimar ailment at the falls when Viviana was a girl. In the evening of the day he arrived at the falls, Geoffrey attended a recital of Romantic Lieder by the well known vocalist, Madelena Deloni. After the recital, Geoffery returned to this room, but (according to his own accounts) feeling listless, went out again to walk about the grounds. During what proved to be a sleepless night, Geoffrey conceived of the intersection of the plane and cone which was to become the basic model for the structure of the mechanism of forgetting which is the crux of his three volume work - "Obliscence - Theories of Forgetting and the Problem of Matter."